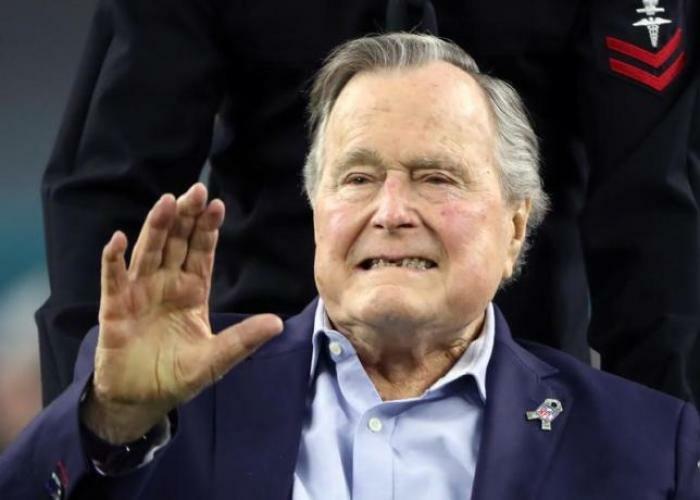 Former Republican President George Herbert Walker Bush, who served a term that saw the collapse of the Soviet Union and the first Gulf War, has died. He was 94 years old. Former President George W. Bush released a statement through the George H.W. Bush Presidential Library Foundation confirming that the former Commander in Chief passed away on Friday. “Jeb, Neil, Marvin, Doro, and I are saddened to announce that after 94 remarkable years, our dear Dad has died,” said W. Bush. Born in Milton, Massachusetts, in 1924, Bush served as a U.S. Navy pilot during World War II, flying 58 combat missions. In January 1945, he married Barbara Pierce. The couple had six children, including former President George W. Bush and former Republican presidential hopeful and former governor of Florida Jeb Bush. 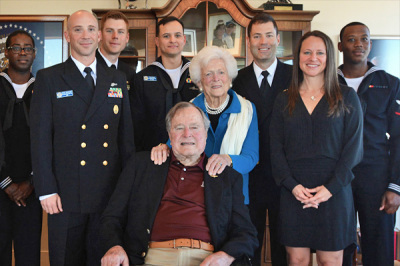 Moving to Texas to work in the oil industry, Bush eventually turned to politics, serving two terms in Congress and a series of high level federal posts including ambassador to the United Nations and director of the Central Intelligence Agency. From 1981 to 1989 he served as vice president under President Ronald Reagan before being elected president in 1988. His administration oversaw the end of the Cold War and the collapse of the Soviet Union with the fall of the Berlin Wall that separated East and West Germany. “The Soviet Union ceased to exist; and reformist President Mikhail Gorbachev, whom Bush had supported, resigned. While Bush hailed the march of democracy, he insisted on restraint in U.S. policy toward the group of new nations,” explained the White House’s official website. In 1991, Bush oversaw Operation Desert Storm, in which a U.S.-led coalition of nations liberated the Middle Eastern nation of Kuwait after Iraq, under dictator Saddam Hussein, invaded. Despite the foreign policy successes, Bush lost re-election in 1992 to Democrat challenger Bill Clinton due to a poor economy and a strong showing from independent candidate Ross Perot. After leaving the White House, Bush maintained an active presence in politics and kept an active lifestyle. In 2009, to celebrate his 85th birthday, he went skydiving. In 2001, Bush became the first president since John Adams to have a child elected commander in chief when his son, George W. Bush, was sworn in for his first term. Raised in The Episcopal Church, Bush was known to be a devout Christian, according to historian Gary Scott Smith, retired chair of the history department at Grove City College. “Bush saw God as active and all-powerful and the Bible as divinely inspired and authoritative. ‘One cannot be America's President,’ the Republican frequently asserted, without ‘the strength that your faith gives to you,’” wrote Smith in a 2017 piece for The Christian Post. In 2012, Bush was diagnosed with vascular Parkinsonism, a condition similar to Parkinson’s that left him wheelchair bound. 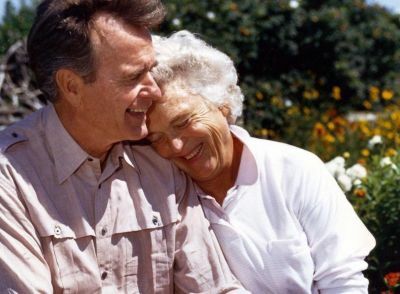 On April 17, Bush’s wife, Barbara, died. According to a family spokesperson, the former president was by her side to the very end. “He held her hand all day today and was at her side when [she] left this good earth,” said former chief of staff Jean Becker, as reported by The New York Post. Bush was preceded in death by his wife of 73 years, as well as their daughter, Pauline Robinson Bush, who died of leukemia in 1953 just shy of her 4th birthday.